My next book, releasing Sept. 22, 2014! I’m skipping Fresh Friday this week to make an announcement: MY THIRD BOOK IS COMING YOUR WAY. That’s right, my third book is on its way — mark your calendars for September 22, 2014, which is EXACTLY one month from today! At that time, you’ll be able to purchase digital copies through Amazon Kindle (which can also be read on an iPad using the Kindle app), or you can order printed copies, as well. Between now and then, stay tuned for sneak peeks and giveaways, as I’m really, really excited about this one! 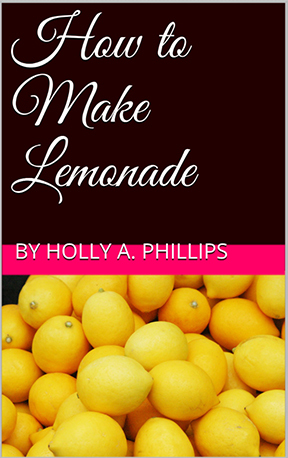 …Or you could read one of my other books, How I fell or How to Make Lemonade… Just saying. I’m calling this one my third book, because it is my third relationship memoir. However, I do have another book out, that lists and explains 50 blogging tips for beginners (I often use it to teach my blogging class). Anyway, what is this book, Lemon Drops, all about? Basically, I wanted to release a book that had some of my poetry in it, and I also wanted a chance to be able to explain where (emotionally) the poems came from. So, there are poems, and some explanations, and there are also short stories. 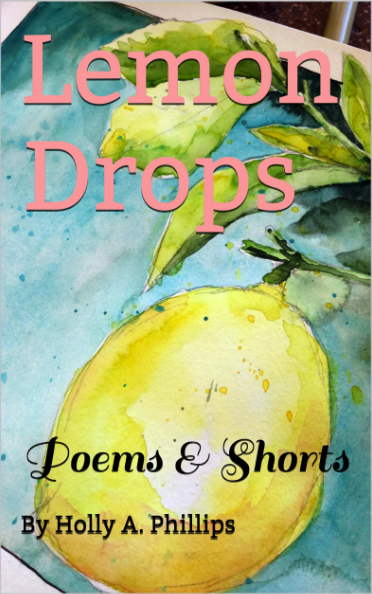 Most of them you’ve never heard before, as I never thought they were monumental enough for a blog, a column, or a book — but they certainly make for good “Lemon Drop” material. Not only did I work really hard to put this book together, but I am revealing more of myself than ever. I have always found honesty to be the best policy, but at times, some of my experiences are difficult for me to admit, even to myself. But with this book, I did. I’m putting all of my secrets out there for you to read, and as is my hope with everything that I write — that someone, somewhere can learn from what I’ve been through as I continue on my journey. As I kid, I barely noticed the seasons as they changed. There was summer, which meant sleeping in and no school. Spring made way for Spring Break, and with winter, at least there was hope for a few snow days. But fall, fall has always held a special place in my heart. With the bittersweet closing of summer, fall meant new beginnings — a new school year, with fresh school supplies and new clothes. There were new opportunities around every corner. I wish though, that as a kid I would have romanticized the falling leaves in Indiana the way I do now. The incredible way they paint the skies and the sidewalks all at once. I remember my parents telling me how people would flock to Brown County just to see the leaves as they changed from green to red, and I thought it was so silly. But there are no red leaves where I live now, in Louisiana. In fact, there’s not really much of a fall season, but I still add a blanket to my bed, light pumpkin candles, and make cider — call me a dreamer. But in my 10 years in the South, I’ve romanticized much more than changing leaves. You could say that my imagination has gotten the best of me, often taking flight without my permission. As you open the pages to my third book, you’ll get a glimpse into my world — it is romantic, but it’s real. And I’m venturing to say that what you’re about to read is my truest self realized; imagination or not. Once again, thank you for joining me on my continuing journey. Before, I wished for a trail of sunrises, and if I could add another thing to my list, it would be colorful leaves. Life just isn’t the same without them. Thanks for reading, and stay tuned for Lemon Drops!